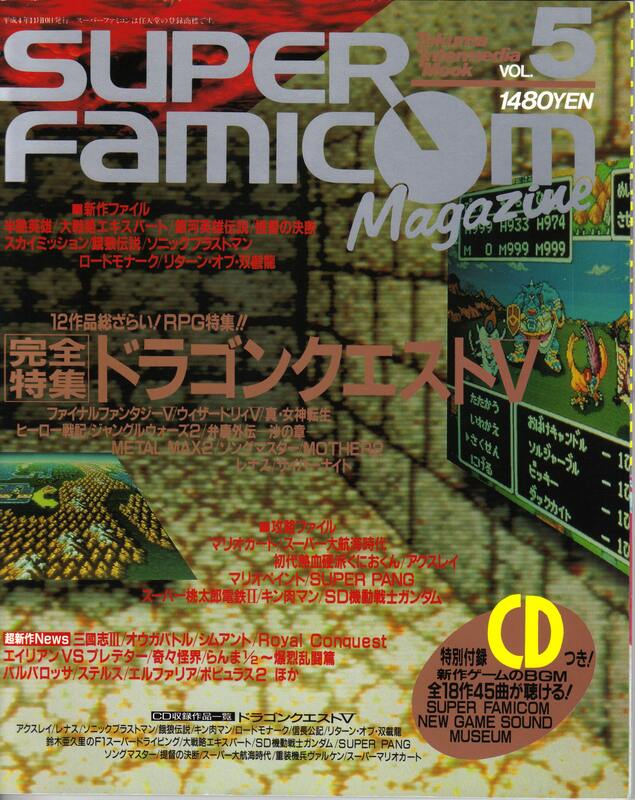 In 2007, KingDarian and I ponied up a ton of money to get our hands on a whole bunch of really old Japanese game magazines that had to do with the MOTHER games. 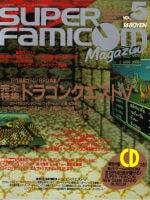 On some occasions we hit the jackpot, like with this Nov. 1992 issue of Super Famicom Magazine. 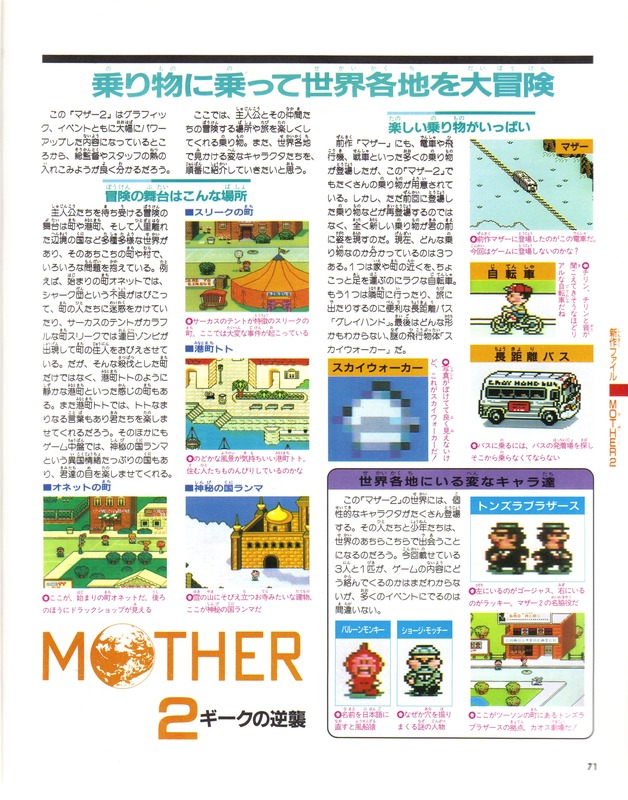 This is one of the earliest looks we have of MOTHER 2. It was shortly after this that the game was reprogrammed from scratch with the help of HAL Labs and especially Satoru Iwata. Because this was printed before the game was redone, it’s one of our very few glimpses into the game as it looked before it was nearly canceled, this video being our only other major source for old stuff. What’s funny, though, is that this article says the game’s release date will be in January 1993 and will be 12 megabits. In actuality, it was almost two years later than that and twice as big. 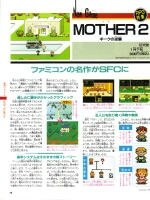 POLL: Do you think we'll ever get leaked ROMs of this early MOTHER 2 stuff? Wait, there is an image of Ness’s family, but a ? mark in the place of his dad. What does that mean? Wow… I remember seeing the video. And it really is different. The HP-PP boxes look sharper , but weird. And I don’t know what’s going on with Ness’ house , but it looks weird… something’s not right , but I can’t figure out what. That picture of Dalaam looks like it might be floating in the clouds instead of being in a snowy place, but maybe that’s just me. And this would coincide with the Pink Cloud sanctuary, as it would have stood out for being pink as opposed to the rest of the clouds you would be standing on in Dalaam. Yeah, I thought Dalaam was in the clouds from that pic too. Really weird stuff. Probably it seemed like snow to me because the caption said it was snow, so the idea got burned into my brain. The original idea for Dalaam had it as a land mass really high in the air (supported by an elephant trunk) though, so it still seems strange that it would be cloud land. Is that blur supposed to be the Sky Runner? Yeah, they’re keeping it a mystery because it’s a preview. Anyone else notice that the marquee says ‘Blues Brothers’? Oh wait. That’s probably Tonzura Brothers. Oh well! Never mind, Ninja’d big times. Don’t think that’s a cloud; look at the lower left. Ness looks better with his back pack. The question mark in place of Ness’s father means that Ness’s mom slept around a lot in her early twenties and paternity tests are required. It’s not a cloud. It’s snow. You can see the front-side of the cliff in the bottom-left corner of the screenshot. Doubt we’ll get the rom of it, but we can hope right? The train running through what appears to be Winters is interesting. Wonder what purpose that was to serve. Perhaps an early idea for the obstacle that became Lake Tess and Tessie. ramma wasn’t supposed to be snowy, that white stuff is probably clouds! remember in the illustration where the elephant’s trunk was shooting out clouds or something? If we had our hands on the beta, Imagine the PK hacks we could make, well, as soon as we translate the beta……. Is it just me or does it look like the walking speed is slower on this beta? I’m glad they sped it up a bit in the final. 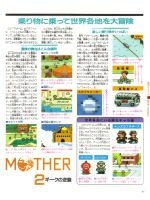 I think people are confused, that train is just a picture from Mother 1. The final build of the game is obviously superior, but I’d love to play the original version to see if there was even more NPC characters throughout the land and what they say! Ah… pretty interesting. ^^ Thanks for posting them up. Dalaam is snowy. I wonder how it would have went if they kept that… Oh well. That’s why Ness looked so skinny when he was walking sideways! No backpack, lol. I could not figure that out. 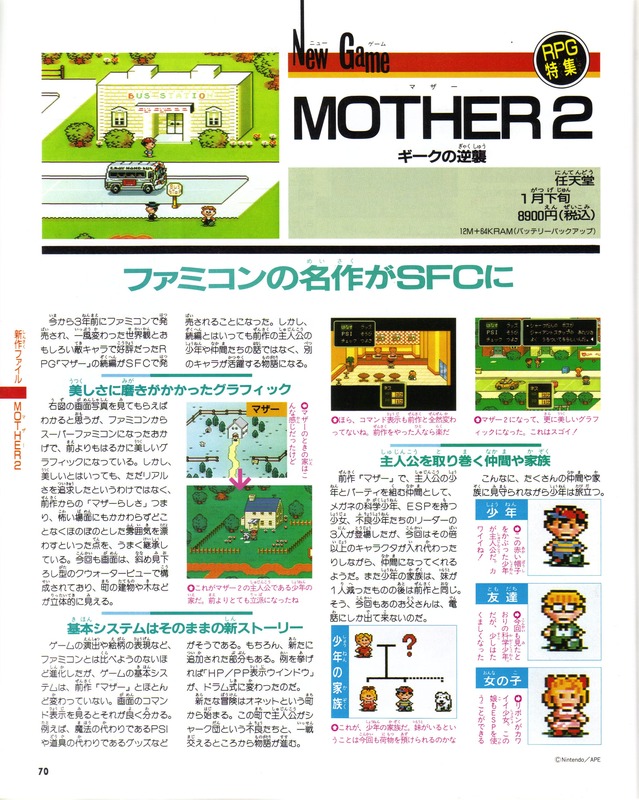 Whoa, and I like how they called PSI, ESP (in Paula’s description) That’s really awesome stuff. Just seeing all the little things like that. Mato, is this stuff up on Unseen64 yet? I love that site. It’s crazy to see how different games can turn out during production. Shiny’s products often turn out much different than the previews. I remember Earthworm Jim 2 had an Evil Carnival level that turned out to be much more boring than the preview versions. And of course Bungie’s original Halo build is pretty much a completely different game. Granted I’d have no idea what was going on… but hey, it could be the 2.5 people pine for. 😛 Even though it actually isn’t. 😉 … Something like that. Do the unused NPC character sprites from the beta appear anywhere in the ROM data? Ness doesn’t have his backpack? But Ness NEEDS his backpack, without it, he’s Ninten. I never noticed the buses said “GRAY HAND BUS” when I played the game, but then again back then I didn’t know of Gray Hound. I think Ness’ mom didn’t buy him a backpack in the beta. Jungyin, “Gray hand bus”, did that appear in the final American product? I Never noticed either. I probably just figured it was just some squiggly lines. That shot of Dalaam really gets to me. I’d love to see the entire map from this early version. Belasted: Yes, the gray hand bus was included in the american version, I make several notes to it whenever I play through it. And I’ve played it about 7 times since Christmas! at which second do you see dalaam? Oh, man, why other games like Sonic 2 get 2 betas and a gem like EB doesn’t get any??? NOT FAIR, NOT FAIR! Why isn’t Ness smiling when he rides his bike? I bet this is what’s on the EarthBound Proto carts. Beta looks cooler tahn final version. 2.) There is a little noise that comes out when you open up the chat screen. 4. )There was a guy in the car in the official, in the beta there is not. 6. )I’ve noticed the Tendas were black. That is akk I found, just making sure, not asking you to do anything.